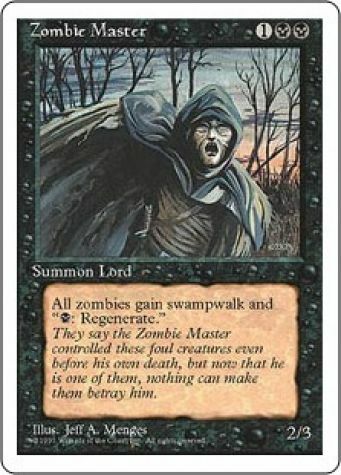 Other Zombie creatures have swampwalk. Other Zombies have " : Regenerate this permanent." They say the Zombie Master controlled these foul creatures even before his own death, but now that he is one of them, nothing can make them betray him.